World War II brought about a lot of innovation especially when it comes to aviation. Entering the war in 1939, aircraft started becoming safer, sturdier and more maneuverable (more deadly as well,) but planes coming out of the war were whole different beasts. With the jet age taking off, aircraft had to be reshaped and redesigned to fit this new way of propulsion. In 1944, right before the war ended, the U.S. War Department was still thinking ahead as if the war was never going to end which meant they had to keep up with Germany’s innovations. With the jet-powered Me 262s flying overhead, the United States had to step up their jet game as well. In need of new, faster bombers, the government sent out an order for medium size bombers with jet propulsion. Many companies jumped on the opportunity such as North American, Convair, and Boeing. 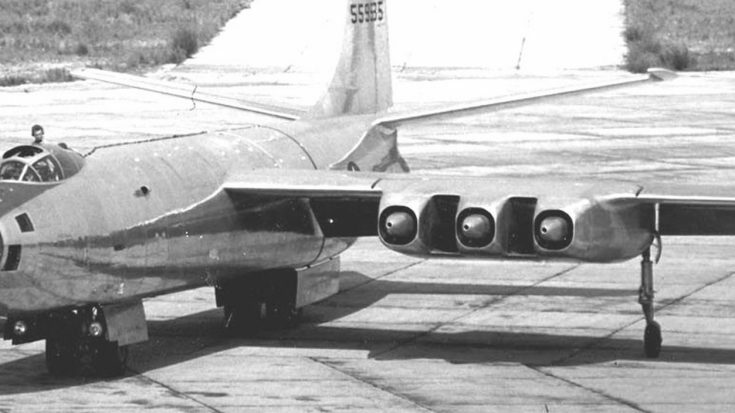 The XB-48, of which you can see a video below, was Maritn’s submission. 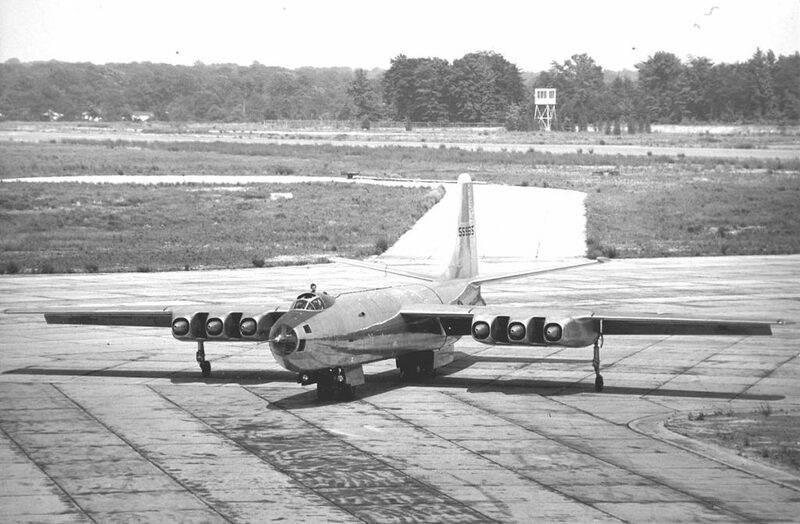 They managed to put together two XB-48s by 1947, serial numbers 45-59585 and 45-59586. They required a crew of three to operate, had a top speed of 523 mph and a range of almost 2,000 miles. As with many prototypes of that time, it was too little too late. 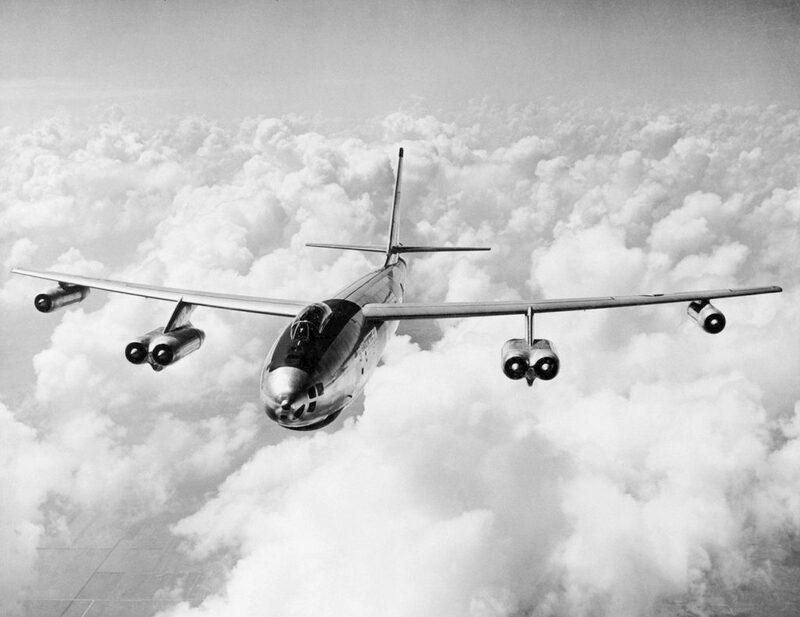 Boeing came up with the B-47 Stratojet (pictured above) at the same time and the War Department rolled along with it. 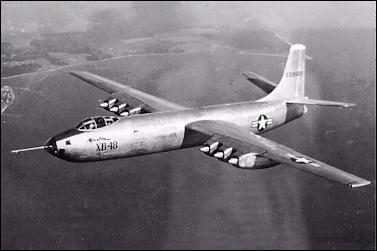 It was faster, could fly longer missions and carry more payload making Martin’s XB-48 fade into history.